Our Scratch Card Fundraisers have been a proven winner since 1992. Some of the benefits you’ll find with a scratch card fundraiser are that you never have to deal with large deliveries, perishable goods, or broken/missing products. On top of that, this scratch card fundraising idea offers you up to a whopping 90 % Profit. Your supporters will love the coupons that they receive from our National Merchants. 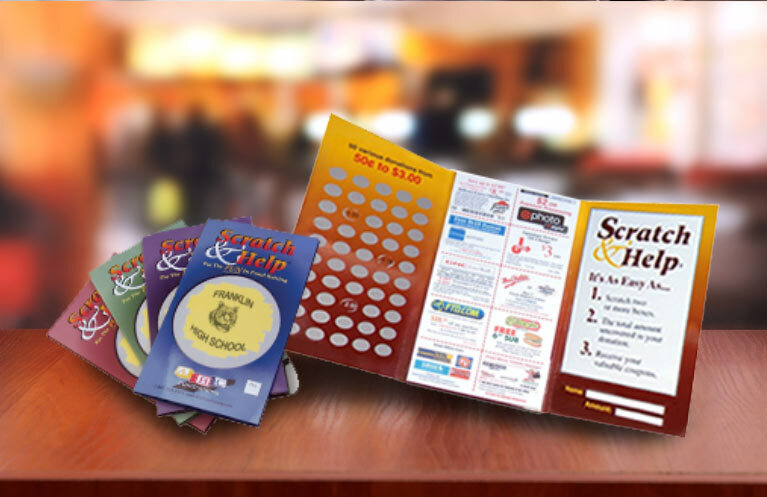 These scratch card fundraisers are ideal for schools, sports teams, churches, non-profit organizations with as little as 10 members. If you are looking for the highest profit fundraiser that exist on the market today, look no further.